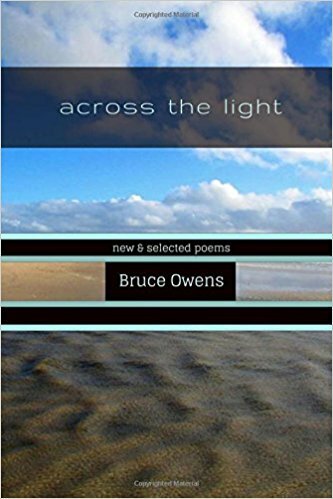 Although Bruce Owens has been crafting and publishing poetry for over forty years and is considered by many to be an undiscovered national treasure, he remains one of America's great, unsung poets. Across the Light is not only home to his most recent poems, it is a quintessential body of work from this contemporary master of the language whose foundation in beauty and spirit lends a generous and responsive perspective to his work. "Bruce Owens is one of the most powerful, original, visually and emotionally compelling poets in the English language. He's been amazing me for 40 years with the depth and scope of his genius." ~ James Dalessandro, author of 1906 and Canary in a Coal Mine. From “You Are a Mountain” to ”Songbird,” The Wild Essential "covers, no, seals, no, reclaims" what it means to be human, to love, to be flawed, to be alive. Claudine Nash assures us that "there is earth in you" and that we can "feel the infinite within." As she writes in the title poem: “loosen these concepts that limit and bind, touch only my truest skin.” That is what her words do. They let us forget our names, the labels, the places and day we've come from. We find through her wisdom, kindness and grace how nature lives within us and what it means to feel a deeper, more beautiful rain. 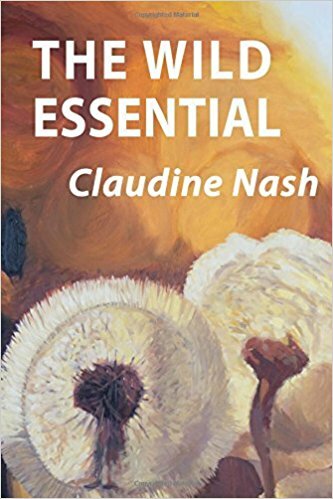 Claudine Nash invites her readers to return to what is natural and instinctual, and to use these lessons in trueness to live. With reflection and awareness, we find ourselves suppressing societal chatter and self-doubt; then, we see ourselves being empowered from the basis of just being our true selves. From the ozone to morning coffee, mountains to motherhood, The Wild Essential takes us to the roots of our identity so that we may flourish beyond barriers. This collection of poetry is a tender but powerful ride of self-exploration and self-acceptance through memories, experience, and forgiveness. At the end of this ride on which Claudine takes us, we acquire the tools to accept the beauty of all that makes us who we are. The Wild Essential is itself a continual act of healing reconnection with the authentic self. We are invited on every page into Nash's discoveries of fresh nuances of mystery and connection with the self she addresses directly in the waterside meditation "Sometimes Before It Storms": "Dear, you / give me such grief / for disappearing / into the ocean, // but tell me, // without this, // how else could / I ever offer you / any fruit?" We are reintroduced to a world that lives for itself, and in so doing allows us a mirror of our own true natures. Yet, though this speaker's paradoxical grounding in the movements between inner and natural mysteries is apparent and uncontrived, the reader is still allowed in poems like "I Keep Checking My Samsung Galaxy for Meaning" into the missteps of even the most contemplative minds – and the gleeful release of their humor. The aggregate is a deeply connected collection of poems for an often fractured world. 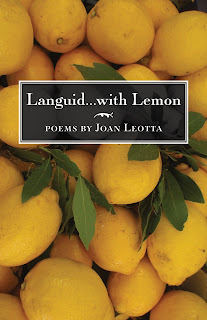 “Everyone hears / when called to the table,” Joan Leotta writes in her latest collection, Languid Lusciousness with Lemon. The title itself is a call to the table of lush language and insight that melds family and food. In this chapbook, Leotta serves up a feast of poems that explore our deep connections — to each other, to the food we carefully choose and prepare, to what nourishes and sustains us. Life’s sweetness stands out, / oft best preserved / when accented with tart,she writes in the title poem. You’ll find both the sweet and the tart along with a myriad of other more subtle flavors, so, come to the table, have a poem; have another, and fill yourself. These poems will leave you sated. We live in a world of myths, fairy tales and cultural expectations. It has always been so. Because Teresa was raised in a religious cult, she realized this at a very young age. When she decided to leave home, she was excommunicated from the family. With no money in her pocket, no driver’s license, no car, no job, no friends and no family, she ventured out from a closed society into the civilian world to make a life for herself. Teresa soon discovered that the world at large insisted upon conformity. 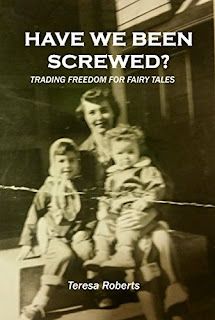 She had managed to get over the first major hurdle, the religious indoctrination of her childhood, but that was just the beginning of what has turned out to be an entire lifetime of myth-busting. As a result, she has questioned most of what many people take for granted. Marriage, romance, childbirth, jobs, debt, holidays and the American Dream are all carefully examined. Do you feel frustrated by the lack of options in your life? Does it seem like you’ve been handed a role to play that doesn’t match your true self? Are you questioning the culturally approved ways of doing things? Teresa is here to show you that there are thousands of ways to live your life, many of them taking place simultaneously all over the world. She invites you to follow her irreverent journey and maybe even consider becoming a myth buster yourself. It’s a big job and there’s plenty of work for everybody.